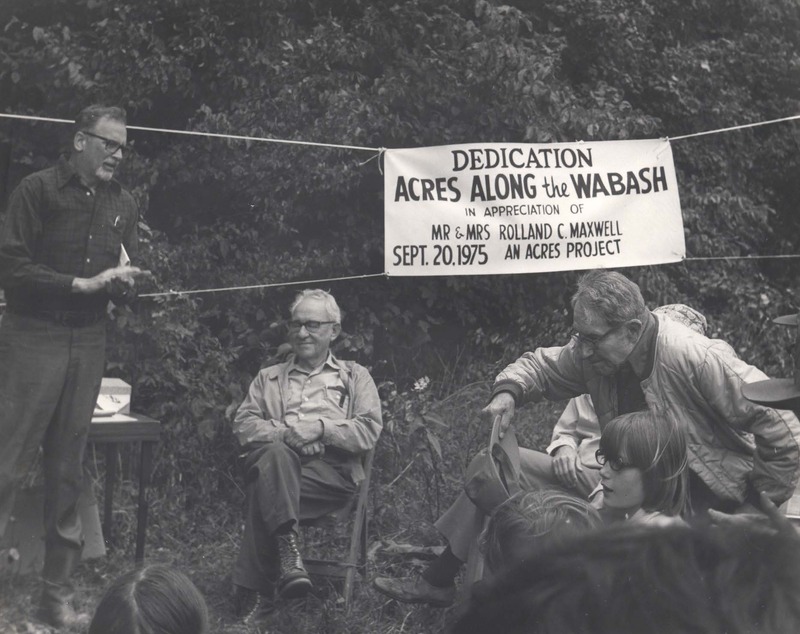 ACRES co-founder, Jane Dustin, second from left, helped to pass Indiana’s Nature Preserve Act that was written by co-founder Jim Barrett. Here, she celebrates the original sign-hanging of the state- dedicated Edna W. Spurgeon Woodland Reserve in Noble County, ACRES’ first protected land. 2017 marks the 50th anniversary of Indiana’s Nature Preserves Act that protects more than 50,000 acres of Hoosier natural heritage in 70 of the state’s 92 counties. The legislation created the Division of Nature Preserves of the Department of Natural Resources which partners with nonprofits and other agencies. 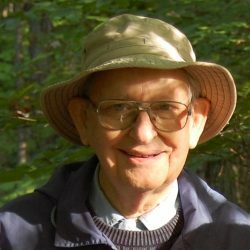 ACRES Land Trust’s founders wrote and helped the law pass in March, 1967. 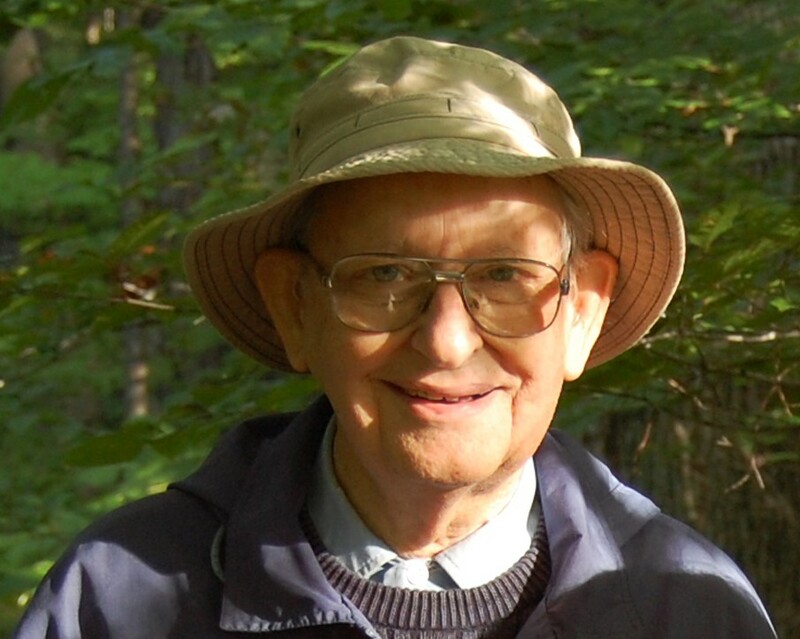 Attorney James M. Barrett III, an ACRES founder, wrote Indiana’s Nature Preserves Act, based in part on similar legislation from neighboring Illinois and Iowa. ACRES founders Tom and Jane Dustin and William and Ethyle Bloch, as well as additional ACRES members and conservation advocates, worked with legislators to secure support for the law. Indiana’s Act was unique in that it allows any land owner to dedicate, or permanently protect, land with the state. 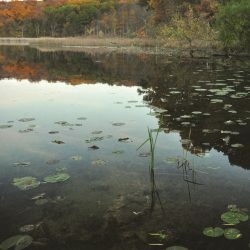 As of January 2017, the Nature Preserve Act protects 274 state-dedicated nature preserves owned by 46 different entities, including DNR Divisions, Land Trusts, City and County Park Departments, and colleges and universities. The Division’s goal is to offer benefits from the scientific, aesthetic, cultural and spiritual values these special areas possess. Nature preserves dedicated under the Act will remain in a natural ecological condition forever. 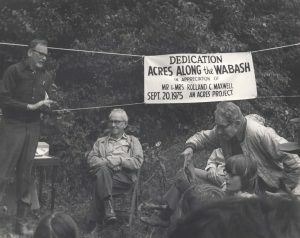 Hy Goldenberg, of Huntington, who later donated Tel-Hy nature preserve to ACRES, left, speaks at the 1975 state dedication of Acres Along the Wabash near Bluffton. Rolland Maxwell, also of Huntington, bending, right, donated the Wells County preserve with his wife Catherine. Bill Barnes, then Director, Division of Nature Preserves, Indiana Division of Natural Resources, is seated. 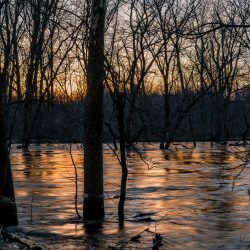 The Division of Nature Preserves catalogs Indiana’s flora, fauna and natural areas, striving to preserve places exemplary of all the natural areas and rare species habitat that occur in Indiana. 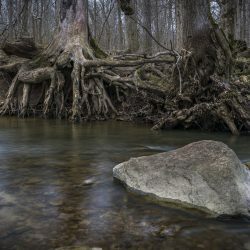 They’re succeeding: Indiana’s nature preserve system protects at least one example of almost every type of the 61 natural communities that existed when Indiana was settled. At least 90 percent of the 416 plants considered endangered, threatened or rare have viable populations in Indiana nature preserves. ACRES also helps to protect large landscapes such as the Cedar Creek Corridor in DeKalb and Allen Counties. Numerous endangered, threatened and rare species call these nature preserves home. In Allen County, the regional nonprofit permanently protects more than 1300 acres with 16 miles of trails. ACRES members protect 6,353 acres of local natural area and working land in northeast Indiana, northwest Ohio and southern Michigan, forever. Explore more than 70 miles of trails, take photographs, enjoy family time, get outdoors, plan a field trip, get fit, reflect on nature’s beauty or share an adventure, for free from dawn to dusk at a preserve near you: acreslandtrust.org/preserves. Connect with ACRES Land Trust at 260-637-2273 or on Facebook at facebook.com/ACRES.LT.